Children and young people may be vulnerable to neglect and abuse or exploitation from within their family and from individuals they come across in their day-to-day lives. These threats can take a variety of different forms, including: sexual, physical and emotional abuse; neglect; exploitation by criminal gangs and organised crime groups; trafficking; online abuse; sexual exploitation and the influences of extremism leading to radicalisation. Child sexual exploitation is a form of child sexual abuse. It occurs where an individual or group takes advantage of an imbalance of power to coerce, manipulate or deceive a child or young person under the age of 18 into sexual activity (a) in exchange for something the victim needs or wants, and/or (b) for the financial advantage or increased status of the perpetrator or facilitator. The victim may have been sexually exploited even if the sexual activity appears consensual. Child sexual exploitation does not always involve physical contact; it can also occur through the use of technology. (DfE 2017). This single Child Exploitation tool should be used in any instance where you are concerned that a child is being exploited, through sexual or criminal means. The tool should help you to identify and evaluate the cause of your concerns and reflect on whether further safeguarding investigations are needed. The tool should also be used to evidence improvement when professionals are working with a child and risk is assessed to be reduced. It can be used with parents, young people and other professionals. From the 1st October 2018 this new tool is the only one that should be used. Child Exploitation Tool 2018 Children at risk of significant harm or in need of protection must be referred to i-ART and Children’s Social Care. The CE Screening Tool should be submitted alongside the Multi-Agency Referral Form (MARF) to i-ART. As with all tools, they are most useful when they support best practice. Here is an example of a good quality completed tool. It is imperative that children considered to be at risk of exploitation always receive support that is commensurate with the risks they face. This can range from prevention work for those children considered low risk; raising awareness and educating them about the risks of exploitation through to direct intervention with the child with the aim to reduce their current risk or provide support and interventions if they have been exploited. It is also important to consider the role of parents and the support that they may require to enable them to better inform, support or protect their child. Young Addaction’s Child Exploitation Service provides consultations, advice, guidance and resources to professionals supporting young people who are either at risk of or have been exploited. The service will work with professionals involved with a child to ensure that an effective and robust plan is in place once a screening tool has been submitted and graded. For low graded tools Young Addaction can be contacted to provide resources and guidance to professionals to enable them to undertake awareness raising activity with the child/young person. For screening tools graded as medium or high, Young Addaction should ALWAYS be contacted to discuss the child and ensure an effective support plan is initiated. Where there is already an established relationship between a professional and the young person, Young Addaction can provide resources and advice to support the professional to deliver the intervention. Where it is considered the child would benefit from an independent professional working with them Young Addaction can provide 1:1 direct intervention. In February 2019 we held our first integrated Child Sexual and Criminal Exploitation Operational Group Meeting. Individual children at risk from sexual, criminal or both forms of exploitation are now discussed together by professionals from a wide range of organisations. All CE screening tools (Low risk with consent) MUST be sent to iART. Initial inquiries will be conducted by iART and the tool will be forwarded to the CE Co-Ordinator to be discussed at the next CE Operational Meeting. For children who are due to be reviewed at the CE Operational Group. There is a new form to complete to enable the members of the Operational Group to understand what work has been completed with the child and family, what the nature and current level of risk is etc. This form must also be completed when risk is reduced to Low and there is a request to close the CSE/CCE flag on the child’s record. If you have concerns about individuals that could be exploiting children or locations where exploitation maybe occurring (be that a physical or online location) then please complete the Persons of Interest/Locations Information Sharing Form and submit this to western.ppu@cheshire.pnn.police.uk . 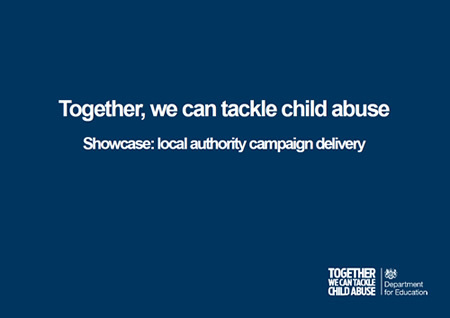 © 2019 Cheshire West Local Safeguarding Children Board. All Rights Reserved.